I had the most random craving for Caesar salad this week and realised that I have never actually ordered one for myself whenever I eat out. Upon mentioning this to my friend, he decided he was craving it too! My next dilemma was deciding on where to eat. Who would've though it would be that difficult to find a decently priced Caesar salad in the CBD?! I ended up spotting it on the lunch menu at ETC, and realised I'd never actually ordered anything on the lunch menu there since I'm usually there for breakfast (Previous visits 1 & 2). We ended up heading there where I would be killing 2 birds with 1 stone - hopefully satisfying the Caesar salad craving and trying something off the lunch menu! We had a super late lunch, arriving at 2pm. There were only a few tables to be served so I think the waiting staff were really taking it easy. The service was very casual, which I didn't mind at all. $16.50 is a pretty decent amount to pay for a slightly healthier lunch option in the CBD but I think I'll have to find somewhere else to satisfy my Caesar salad cravings. 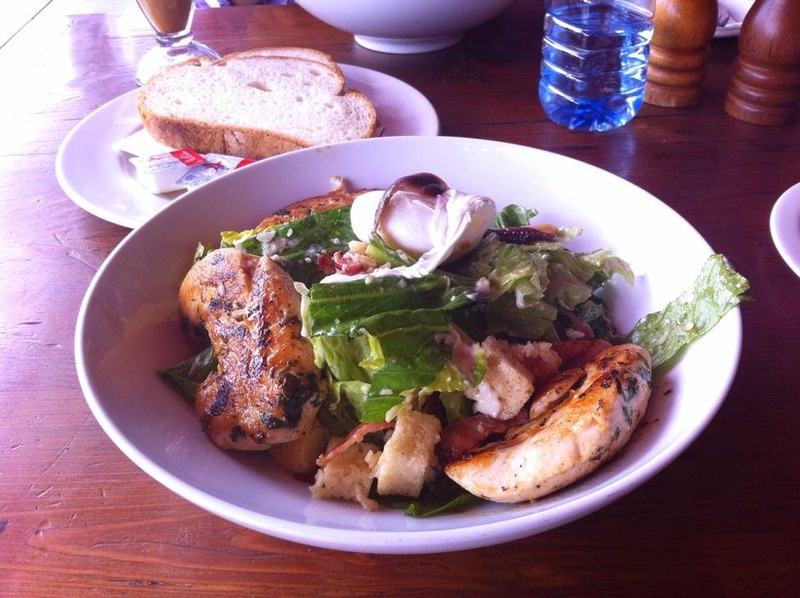 Any suggestions for the best Caesar salad in the CBD (or just Adelaide in general)? Please leave them in the comments below! Not my favourite experience at ETC, but it definitely won't deter me from coming back. I just love their breakfast menu and poached eggs too much!